As we’ve stated since the transition, our number one goal is to maintain Z1BR game service while we evaluate the steps required to continue supporting the game. As part of this process, we want to provide our players information about the game as internal decisions are made in real time. On Tuesday, April 30, we are ending Season 3. We are also shutting down South America servers at that time. This will consolidate our Americas player base on North America, speeding up queue times and ensuring Z1BR's other servers continue to operate for the vast majority of our global community as we lead into next Season. As of this time, we plan to kick off Season 4 on Tuesday, May 14. We also wanted to inform you that we will be unable to host The Showdown. After much deliberation, we determined it's just not realistic for us to put on a massive global event in such a short window of time that will live up to the standard we've set with past Showdowns. We sincerely thank you for your patience as we continue to work through this transition. We will be back with more information as we work towards kicking off Season 4. As many of you saw last Friday, NantG officially announced their decision to transition Z1 Battle Royale back to Daybreak. Like you, we were reacting to that decision in real-time, and are still digesting what that means for the game going forward. That means we don’t have all the answers yet, but we can offer our immediate plans for now until we are ready to share more. We can share today that servers will remain up, that we have no plans to change the name of the game, or make any other big changes that will affect your current Z1BR gameplay experience. Our number one goal throughout this entire transition is to make sure there is minimal disruption to the game’s service. That means you can still expect to receive Z1BR news through existing Z1BR community channels. It also means that we’ll continue to support the game – through hotfixes, live maintenance, other service updates – as our team works to get back up to speed. Z1BR is a game that so many of us here at Daybreak have worked on and supported in myriad ways over the years, and we want to do right by our community. As we work through this transition, we only ask for your continued patience as we prepare our plans for the game’s future. Lowered the weapon placement on the back of the character model to prevent weapons from blocking the reticle when aiming up hill. Moved the crouched camera height up to prevent the players head from blocking the reticle when strafing side to side while crouched. Made an optimization to how the system handles packet bundling. Players should be seeing an improvement of 5-10 ms in their pings. A few things relating to how the in game HUD animates specific elements are being changed/optimized to increase performance and address possible micro stutters. Applying a change to a system that interacts with the in game UI that should net players some extra frames. FPS gain will vary based upon players hardware. Optimized the in game flora. Swapped out the H1Z1 logos to Z1 logos on the crates in the background of the "Redeem a Code" menu. Fixed an issue with the wood slats on the back of some 2 story houses where players could get stuck and be unable to move. Fixed the "Prone Blocked" messaging getting stuck permanently on screen. Fixed an issue with the in queue timer overlapping onto the crowns currency in the front end menu. Green text was popping up at the start of the match in the broadcast message. This text color has been corrected to white to match the rest of the messaging that occurs in this system. Fixed: After a team mate died and went into spectate mode their chevron was still visible to the players were still alive. It would show up floating behind whoever the player was spectating. Fixed a bug that was briefly popping the end match screen onto a players screen when they were clicking spectate to watch their team mate who was still alive. After throwing your last grenade, regardless of type, players were being swapped to their fists. This has been changed to use whatever the previous weapon slot the player had active before using the throwable. Fixed an issue preventing the end game screen from showing up in fives matches. Fixed a bug that was making the shot block icon get stuck on screen if you switched to fists while a player was using free look. Various fixes to the messaging on the requirements of a few missions. Fixed an error for a portion of the UI that wasn't switching from English to the localized language for other regions. Audio feedback was not playing when mousing over menu options, this has been fixed. In normal solos at the end of a match the messaging was still telling players they needed to go to Ranked Pro mode to progress. This was a messaging error in the system and has been corrected to show the player how far they have to go to get to the next tier. Cleaned up team mates loading into the world on the front end menu when joining the group. The weapon model in the kill feed may appear facing the wrong direction. Master and Royalty ranks for solos are no longer locked to the Ranked Pro mode. They have been added back into the standard solos play list. Players will see their rank update after they play their first solo match once the patch is live. Fixed a bug that was preventing bandages from dropping in Ranked Pro mode. Fixed a bug that was preventing players from being able to purchase the in game sale items from the message of the day on the front end menu. Z1BR Game Update March 13th: Gamers Outreach Charity Event and more! Today's patch marks one week since the Season 3 update and the rebrand to Z1 Battle Royale. It has been a crazy week and we are ecstatic to see you all in game and having fun with the new season. The feedback and love shown from all of you in the community has since the patch has been nothing short of heart warming. It has been great seeing all the new and returning players having fun in game and on stream. We have also noticed through the feedback and streams where we can make fixes/improvements/ With the patch came the introduction of many new bugs. Today's patch is targeted at those issues, which you will see as you read through today's notes in the Misc. Updates and Bug Fix categories below. Alongside the bug fixes we also have a world update reintroducing sun reflections to the roads, a new in game item for St Paddy's Day, and a brand new Gamers Outreach Charity Hoodie supporting http://GamerOutreach.organd their mission. One last rambling before for those that haven't skipped ahead to the notes. We would like to say thank you to everyone who has taken time out of their day at any point to report bugs and issues they have come across to us. The videos, pictures, and steps to reproduce the issues are extremely helpful. They allow us to reproduce the issues much quicker, which in turn allows us to fix them much sooner. For anyone looking to make a bug report in the future drop those reportshere[forums.z1.live](there is also a great guide to the perfect bug report pinned at the top of the forum). UI: The in game HUD should now match the HUD from Solos in Duos and Fives. UI: The Killfeed will no longer start rotating the feed into itself as it gets longer. UI: The Arcade Challenge is no longer available. This should not have been showing up since there is no active Arcade Mode running at this time. UI: The Hotshot Crate confirmation will no longer refer to it as “Premium3 crate”. Weapons: Fixed mismatched M9 refire timing. PS3 timings on the M9 had the ADS fire rate set to a faster refire than hipfire. These timings now match up to PS3 values. Animation: There was an issue occurring with the shoulder animation when firing the AR-15 in ADS. It was skipping the animation on many shots. This issue has been lessened and we will continue to tweak this if the issue continues. UI: When exiting a match in 5s, the camera on the front end menu was focusing on the user’s position rather than the group as a whole. UI: Fixed an issue when a player accepts a group invite on the character select screen they will be seen standing in place by other group members. Animation: Ensure empty hand sprint animations are properly playing. UI: The recycle shoes and boots match challenge description was inaccurate. UI: Fixed 3 white backgrounds that were showing up in the front end menu. A foreword from our General Manager, Anthony Castoro. "Today's patch is huge, not just because it contains tons of content, or that it's the start of the first new Season since early November, or even that the game now has a new name. It's also huge because it represents the first big delivery on the promise that the new NantG team made when it took over development last September: Bring back the game that so many of you fell in love with in the classic "King of the Kill" era around Preseason 3 at the end of 2016 and in early 2017. Since September, the NantG team has been as transparent as possible about our goals and plans and many of you have stuck with us through the challenges of starting a new company, transferring the development and operations of a live game and releasing updates on an almost weekly basis. We want to take this opportunity to thank so many of you for sticking with us and to welcome those of you who are returning, or even just discovering the game for the first time. We're not done! We still plan to address old weapon models, classic in-game UI elements and more. So if you want to keep up with the latest plans go tohttps://www.z1roadmap.comor join us in the official forums athttps://forums.z1.live!" Thank you Anthony. Today's patch is absolutely one of epic proportions as you will all soon see in the massive patch notes below. 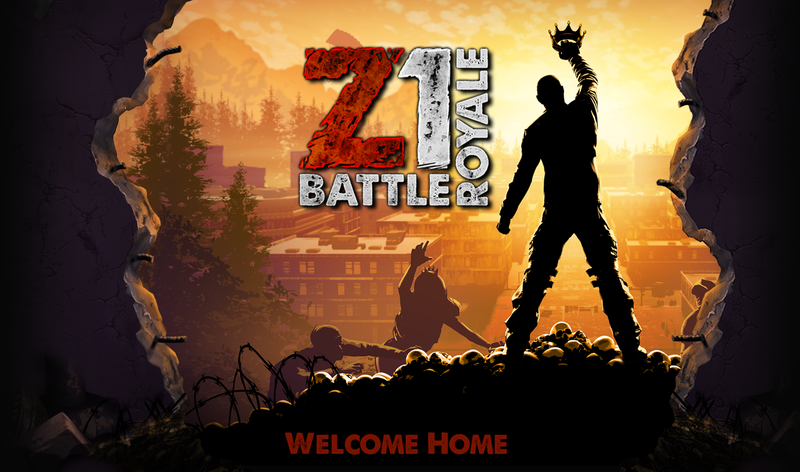 It has been a crazy ride since making the transition from player to Community Manager and I am ecstatic for you all to get to play this first giant step in the development of Z1 Battle Royale. On behalf of the team I would just like to say "Welcome Home!" Over the past few months NantG has taken over development of H1Z1 Battle Royale and has been re-branding it to Z1 Battle Royale, the team has been working feverishly to recapture what made the game so special. The return of classic King of the Kill gameplay that everyone fell in love with, the classic movement, gun mechanics, the look and feel of the world/environment, the works. It's all getting overhauled, and we are bringing it back to the glory days. The team has touched just about every existing system the game has, while also bringing in some brand new systems to give players more to do and interact with. This is our biggest update yet, and the kickoff of what the team here at NantG believes the game should have been all along. In just under two weeks on March 6th we will be dropping our Season 3 patch. Restored PS3 Era Map, Environment, and Lighting. This is a patch you won't want to miss. See you all March 6th.